It isn’t a surprise that Type 2 Diabetes is becoming an epidemic in the United States. More and more people every day are being diagnosed with prediabetes or Type 2 Diabetes. If you or someone you know has just joined the ranks, you should know about the 10 common mistakes in diabetes management & how to avoid them. It can be overwhelming just learning the basics. 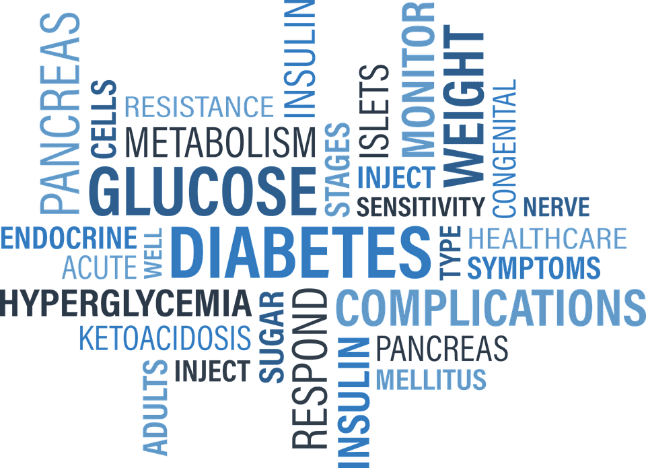 This article touches on some of the mistakes diabetics make and some solutions to help you gain control of your blood sugar! One of the biggest common mistakes in diabetes management is not keeping blood sugar logs. Diabetes requires work on both doctor and patient. Your doctor needs to know a trend of blood sugars a few times a day in order to decide the best course of action. Solution: If you are showing signs of “pre-diabetes” or Type 2 Diabetes, have your doc write a prescription for a blood sugar monitor and test strips. Test twice daily and keep the numbers in a log book. This way your doctor can see trends. And don’t think you can “fudge” the numbers either. Your Hemoglobin A1C will tell your doctor an average of what your blood sugars were over the last 3 months. It is a long-time thought that carb intake should be greatly reduced because carbohydrates are converted to sugar by the body. This has led to diets that are too low in carbohydrates and beneficial nutrients are lost. There are “good carbs” out there and diabetics need to know which ones to eat more of and which ones to eat less of. It’s all about portion control and moderation. So, go ahead and have your cake and eat it too! Solution: Look into eating from the glycemic index (see this article for more info on the Glycemic Index). The index tells you about the glycemic load of different carbohydrate foods. Some only raise your blood sugar a little and keep your blood sugar steady, while some can spike your blood sugar quickly and keep it at a high level. Meal skipping is risky for anyone, diabetic or not. When you miss a meal, your liver because to use up a precursor to glucose known as, glycogen. Studies have shown that the combination of increased cortisol from the stress of not eating and glycogen may actually raise blood sugar more than a meal. High cortisol levels (a steroid our body uses to combat stress) can also lead to insulin resistance. Solution: Eat small frequent meals throughout the day to keep a steady stream of nutrients going into your body. This helps rev up your metabolism and burns fat to help you lose weight! Yes, you can eat your way to a healthier you! Any carb by itself has the potential to raise your blood sugar. They burn up fast and convert to sugar even quicker when eaten alone. Protein helps to coat carbohydrates in a rich sauce that slows the burn and keeps the spike more stable. Solution: Try putting a teaspoon of peanut butter on your apple or eat crackers or fruit with some cheese. One secret favorite candy bar that has been a favorite of diabetics and doctors for years – Snickers™! Why? The Peanuts. Helpful tip: Only eat a few of the snack size. There are some weight loss plans out there that encourage a “cheat day.” Losing weight is one of the benefits of eating foods that are good for your blood sugar, but you just can’t bank carbs and fat for one whole day of fun. Your body can’t be thrown into days of no carbs to eating them all in one day. Your blood sugar will go through the roof! Solution: Instead of banking carbs throughout the week, bank carbs during one day. Skip your toast and orange juice at breakfast for a piece of birthday cake after dinner. One of the more common mistakes in diabetes management is not talking to your doctor. Your doctor needs to know your blood sugar levels, your symptoms, and things you are implementing to manage your blood sugar levels. It’s perfectly your choice to try alternative remedies, but your doctor needs to know this to help balance your treatment and avoid adverse reactions. Solution: Make sure you check with your doctor before trying alternative remedies and give him or her a full list of things your taking over-the-counter and prescription. You and your doctor are a team and can work together to bring your health back into balance! So, you went to the doctor and your hemoglobin A1C was perfectly normal. This means you have had a majority of blood sugars in the normal range over the last three months. Your cured, right? Unfortunately, no. At this time there is no cure for diabetes. However, Type 2 diabetes is reversible and you will see it under control with good management. Solution: Anyone with Type 2 diabetes or healthy should always have their blood sugar levels in mind all the time. Even if you are under control, the tendencies will always remain. Keep this in mind and always take care of yourself. We get sick, we go to the doctors and we get a prescription to get better. Another common mistake in diabetes management is thinking diabetic medications “fix” diabetes. Medications cannot fix diabetes. It is only a small part of diabetes management and there is a much larger picture! Solution: Good diabetes management is going to take a little work, but it can be fun! Once you are diagnosed with either prediabetes or Type 2 diabetes you will need to make lifestyle changes to help keep your blood sugar under control. We will go into this more in our Lifestyle Tips for Diabetics article. You’ve got this, your diet is in place and your medication schedule all written down! There is no doubt your treatment plan will work if you are truly putting your whole heart into this, but don’t forget one very important detail – exercise! Exercise helps lower blood sugar levels and can make you feel better. It’s also good for your circulation, because your blood vessels take a beating from increased blood sugar. Solution: Schedule time for you during the week and get some exercise. Just be sure to check your blood sugar before and after exercise and eat a light snack to prevent your blood sugar from going too low. More will be explained in our Exercise Mistakes in Diabetes Management. And by poor eating habits, we literally mean poor and this may be no fault of your own. You may be trying your hardest to eat healthy, but it’s probably hurting your budget. Totally understandable! Eating healthy foods can be expensive and hard to do. It’s all too tempting to grab that one-dollar box of Mac and Cheese of the shelf, but you are eating mostly empty carbs. Solution: The best way for diabetics to eat healthy and save money: shop the perimeter of the store. Only go down the aisles you need to for staples such as; flour, rice, coffee, and other dried whole foods. Spend the majority of your food dollars on; meat, fresh veggies, fresh fruits, and dairy. See our article for Avoid Diabetic Eating Mistakes for healthy food choices and exciting recipes!